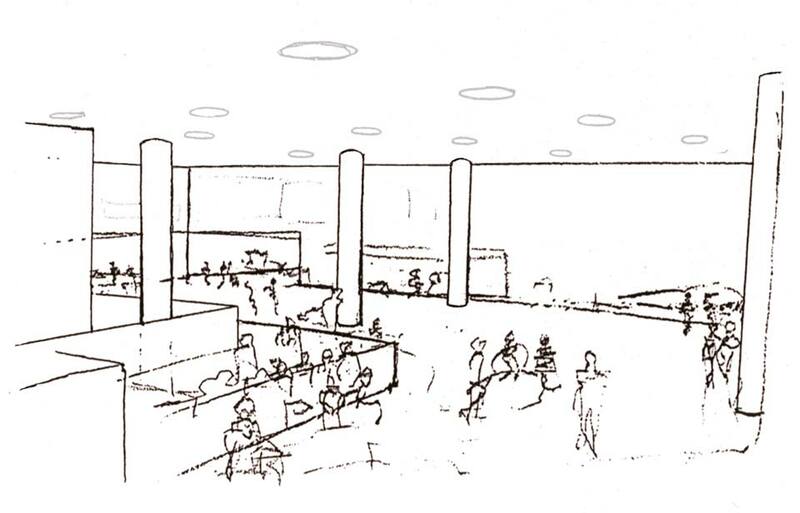 In 1990 Leonelli was invited by the British Airport Authority to submit a proposal for a ceiling-sculpture for the Arrivals Concourse in the South Terminal at Gatwick Airport. 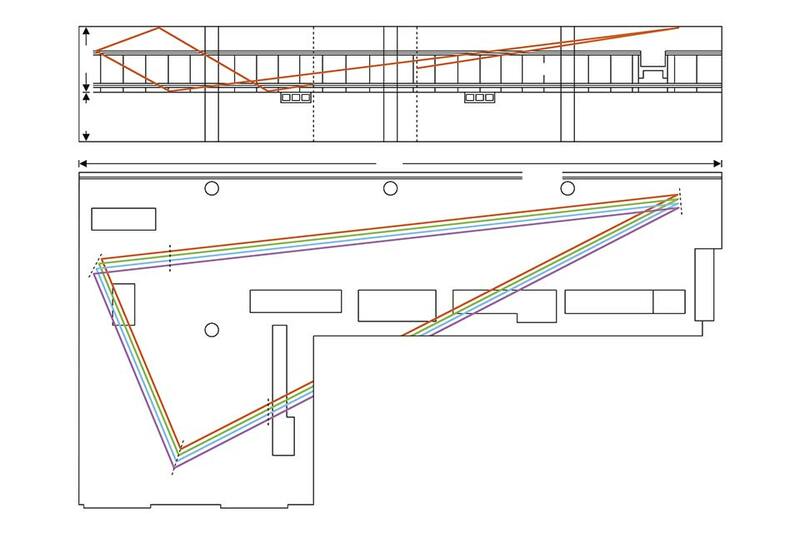 The proposal consisted of two different variations; one angular, Point to Point, and the other curvilinear, Flightpath. 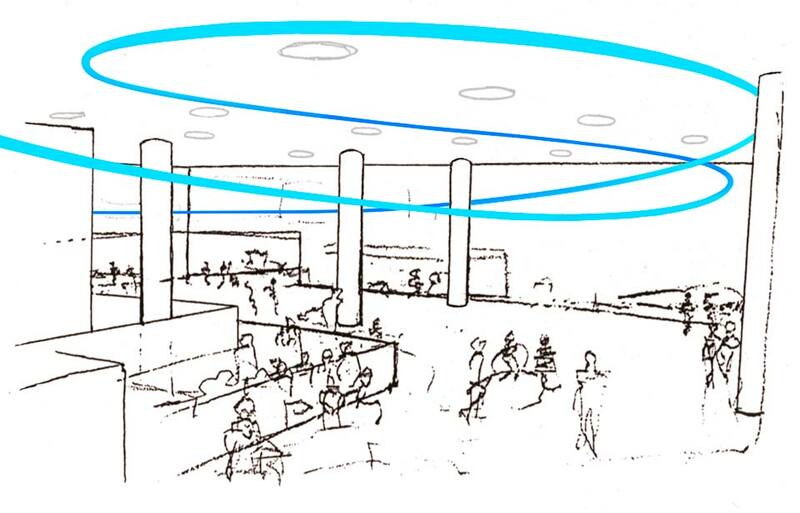 The shape of the angular Point to Point light-sculpture was determined by where it’s directional ‘points’ indicated specific functional areas throughout the Arrivals Concourse; Information, Exits, Passport Control, Customs etc. 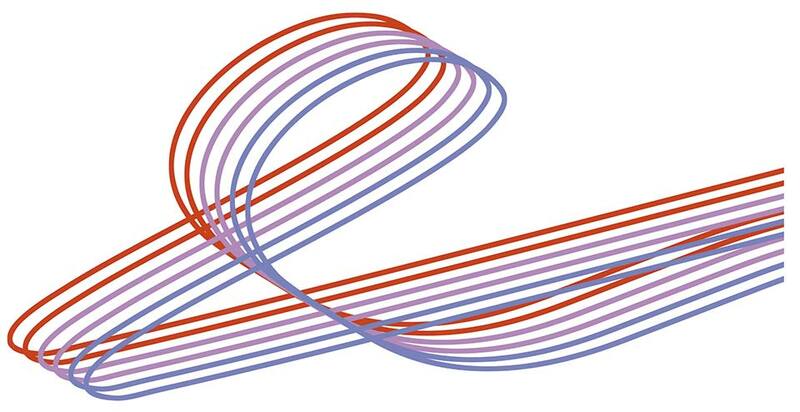 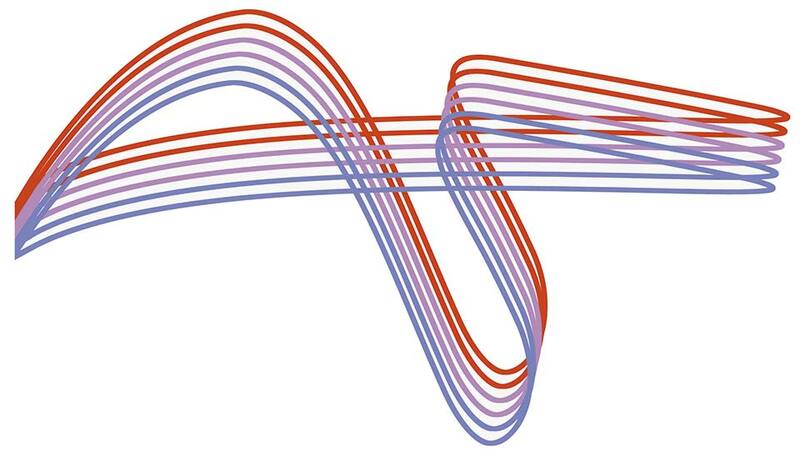 The curvilinear concept of Flightpath was to simulate the flight-path of the famous ‘Red Arrows’ aerobatic display team, using a bank of multicolored neon and argon tubes. 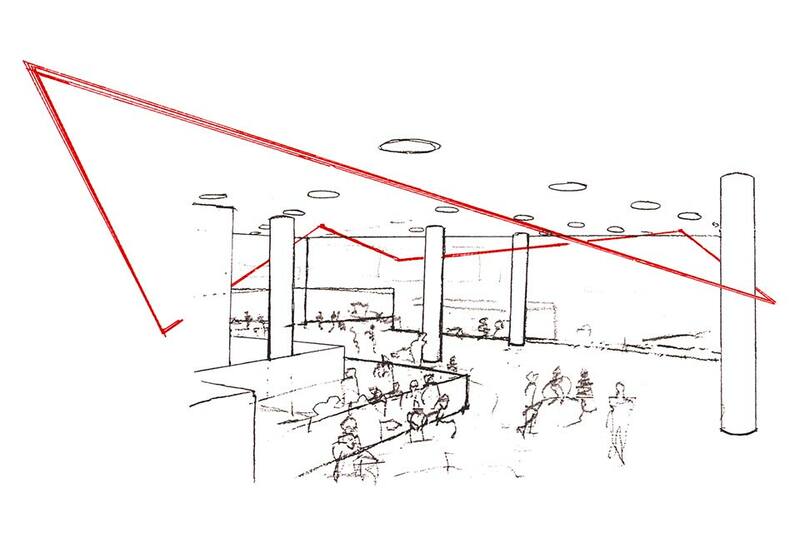 From the entrance end of the Arrivals Terminal, Flightpath descended out of the ceiling, did a graceful loop-to-loop around the columns and with a few final twists exited through the ceiling at the departures end of the Concourse.